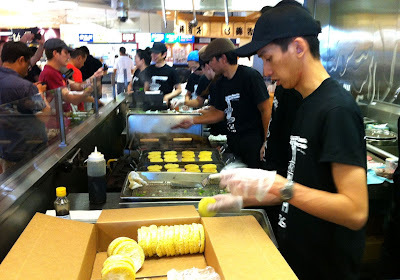 Ramen Burger Line-Up Madness! 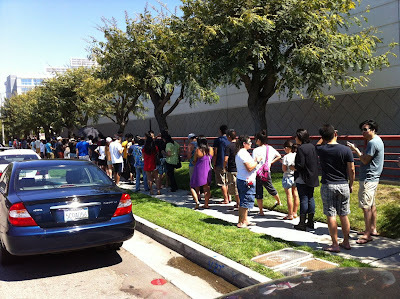 Today, 1,000+ people lined up at Mitsuwa Torrance for the ever-sacred Ramen Burger from Go! Ramen. (No, it's not free!) They are only here for one day, and they are only selling 500 of these. 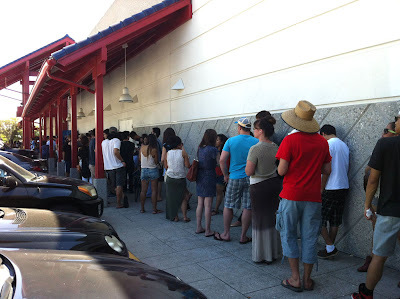 Have to line up at least 2 hours early to get these crazy burgers. By the time I arrived, they already maxed out. 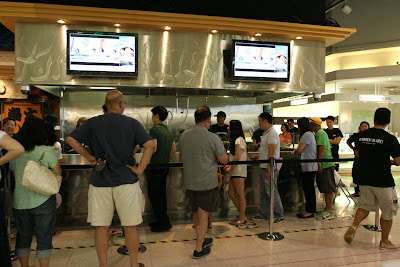 My friend told me she arrived at 10am and got the burger at 2pm, a total of 4 hours wait! ABC Eyewitness News was here to document this legendary crazy moment too. This is definitely an intriguing concept, but the reviews and feedbacks are not that great. 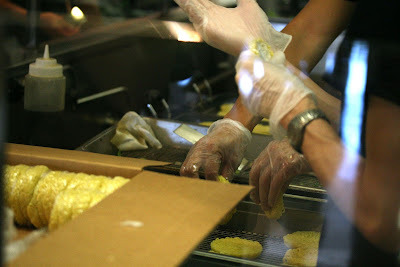 The burger patty doesn't look that appetizing Maybe it's not worth it after all. 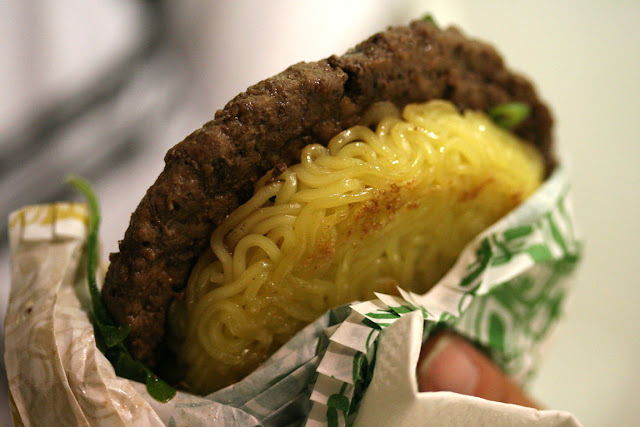 Why not just utilize the 2 hours at home and make your own nice Ramen Burger?